Israel Adesanya is a Nigerian-New Zealander mixed martial artist who is a former kickboxer. He is currently competing in the Middleweight division of the Ultimate Fighting Championship. Israel is one of the rising names in the middleweight division of the UFC. Israel currently ranks #9 in the official UFC middleweight rankings. He is also famously known as The Last Stylebender. 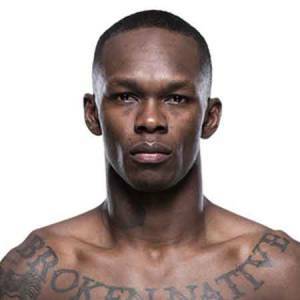 Adesanya has quickly found success in the UFC scene and has been making quite an earning as a professional UFC fighter. His net worth in 2019 is reportedly around $500,000. Israel has so far made the UFC career earnings of about $600,000. He earned the career-high match earning of $172,000 at UFC 230 that included $59,000 to show, $59,000 win bonus, $50,000 Performance of the Night bonus, $4,000 fight week incentive pay. Moreover, he was awarded $112,000 including $56,000 to show and $56,000 win bonus at TUF 27. However, he has not disclosed any information about his personal assets and past earnings which has made it difficult to estimate his exact net worth. For the moment, his net worth remains under review. Israel Adesanya despite being in the spotlight for being one of the entertainers of UFC, has, for the most part, kept a low-key profile when it comes to his personal life. There is no information about him being in a relationship. There are no details of him being married which suggest that he does not have a wife or children but there is no information about his past love affairs as well. Israel Adesanya was born on July 22, 1989, in Lagos, Nigeria as Israel Mobolaji Adesanya. He moved from Nigeria to Whanganui, New Zealand at the age of 12. He used to train and practice taekwondo in his younger years and later started training kickboxing being inspired by the muay-Thai movie Ong Bak. Adesanya moved to Auckland in 2008 where he started to kickbox under the tutelage of Eugene Bareman at City Kickboxing. Israel Adesanya turned professional in 2012. At the beginning of his career, he fought in New Zealand, Australia, and China over the course of five-and-a-half years. He had a record of 11-0 with all wins with TKO prior to being signed by the UFC. He had a professional record of 32-0 prior to moving and fighting in China. The UFC announced to have signed Israel Adesanya in December of 2017. His debut match was held on February 11, 2018, at UFC 221 where he faced Rob Wilkinson. The match went till the second round where Adesanya won the fight with a TKO. The win earned him the Performance of the Night bonus. His second match was against Marvin Vettori at UFC held on April 14, 2018. He won the fight with a split decision. Adesanya won another Performance of the Night award on July 6, 2018, during the Ultimate Fighter 27 Finale where he faced Brad Tavares. He won the fight via unanimous decision. In his short time at the UFC, he has quickly climbed the Middleweight rankings. He was pitted against Derek Brunson at UFC 230 held on November 3, 2018. He defeated Brunson via KO in the first round. Israel is scheduled to face Anderson Silva in the Co-main event at UFC 234 to be held on February 10.